A positive impact, change for the better, making a difference – the concept can go by many monikers. At Laurier, it’s known as the innovative Arts degree option, social entrepreneurship, and through it, seven students in the capstone course SE400 merged their passion for sustainable systemic change with entrepreneurial strategies to take on some tough social issues. During the course, students were required to fully develop a viable, financially sustainable venture to address a specific issue. The five social ventures developed during this year’s SE400 course address issues such as student mental health, socially responsible food items and improving student volunteerism. There’s even a plan to open a sanctuary for at-risk lions. Students Amanda Reath and Sulaika Mazhar weren’t prepared for the stress of university life. Realizing their peers may also be struggling with stress, Reath and Mazhar created Doodle Break, an art-therapy enterprise to bring colouring, knitting, and paint workshops to college and university campuses. They recently piloted Doodle Break at a London, Ontario high school as part of an initiative to educate senior students on stress and post-secondary academics. The team sees possibility for the development of a line of colouring books customized for students in addition to applications for other demographics, such as the corporate sector. Also aware of the need to address student well-being, Adam Virani and Irfaan Adatia founded massage Ü, pop-up massage-therapy clinics that providing Laurier students with affordable treatments from students at the Canadian College of Massage and Hydrotherapy completing practicum hours. Laurier students pay $6 for a 25-minute massage, which covers the cost of the college’s practicum supervisor to be on-site during the clinics. The three clinics held during the winter term each sold out within 30 minutes supporting the team’s research findings highlighting the demand for affordable access to stress-reducing therapies such as massage on campus. massage Ü will return to Laurier’s Waterloo campus in September 2017. Finding quality baked goods that meet special dietary needs while supporting local growers and sustainable farming practices in Waterloo region is a tall order to fill – but Chelsea Brown and her business partner, Jason Wittig, are managing just fine. Brown launched Baked by Chelsea, a socially responsible bakery offering high-quality goods to Laurier’s Waterloo campus and the local community. Brown is committed to sourcing ingredients from local vendors and growers over mass retailers such as Walmart and Costco. Baked by Chelsea also offers a pay-it-forward program. Customers can purchase baked goods for those in need, such as a birthday cake for a child from a struggling family or a welcome cake for newcomers to the region. Safeeya Faruqui wished she had a better tool to track her volunteer hours during high school. Paper forms were forgotten at school (or lost all together), and with the ubiquity of smartphones, developing a digital application seemed like a winning solution. Faruqui developed the concept for PONTIO. A Welsh word meaning “bridge,” PONTIO connects students to volunteer opportunities by geographical location, tracks hours served, and provides a social media component for users to share their volunteer experiences. Service organizations can also post opportunities for those looking to get involved. PONTIO’s user-experience testing will take place over the summer months with a launch date set for September. Post-launch, Faruqui will develop customized features, such as a resumé-builder to capture volunteer experiences and future compatibility with LinkedIn. Lions living in captivity and those reared for trophy hunts present an animal-rights issue that Celine Collier could not ignore. She’s launching Oasis Lion Sanctuary, an open-air rescue facility in southern Ontario for lions discarded by zoos and circuses, and those seized from irresponsible private owners. Collier will spend this summer working for Panthera Africa, a lion sanctuary in Cape Town, South Africa, where she plans to gather constructive feedback on her business plan. Collier hopes to open Oasis Lion Sanctuary to the public in April 2018, offering an educational and ethical alternative to zoos and circuses. Based in the Faculty of Arts, Laurier’s undergraduate social entrepreneurship option is the first of its kind in Canada. 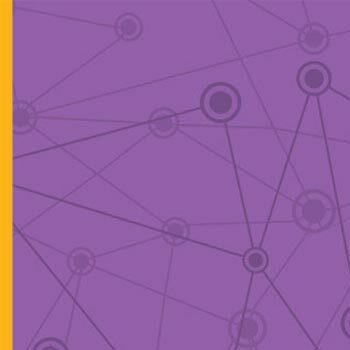 Laurier received the prestigious Ashoka U Changemaker Campus designation in 2016 for leadership in social entrepreneurship and social innovation education.